Very disappointed, this sword design should be scrapped. Very flimsy, the handle broke while practicing a few kata. Response: Hello, we sincerely apologize for you receiving your item in this manner, if you would like to either replace the item or get a refund you can contact our customer service department at 1.800.956.1667 and someone will assist you in doing so. This "sword" is total garbage. it is all plastic except for the aluminum quality blade which I've owned baseball bats that are sharper. Even the so called scabbard falls apart because the cheap screw are barely threaded. I didn't expect much but they could at least try. DO NOT BUY! This sword is trash, I didn't expect much for 20$ but I did expect something that was stronger than a butter knife. The "blade" could bend in a U shape and fold back. No edge to even speak of. Poorly crafted handle and painted design. I wouldn't even buy this for looks. This was the first sword I got from budk. Not quite up to my expectations. 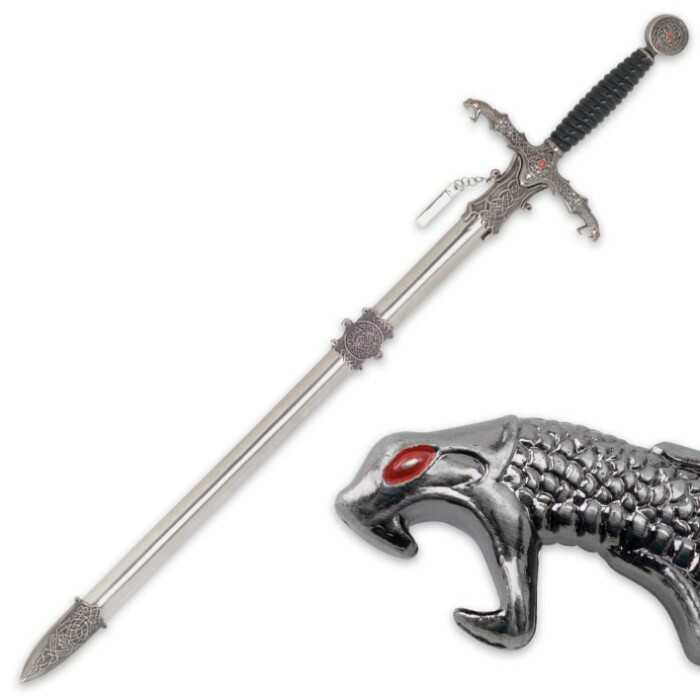 The blade is flimsy, and the dragons heads on the guard are cheap plastic. Just from walking around with it, it bent a little. In a real situation, the metal sheath would do more damage than this flimsy weapon. 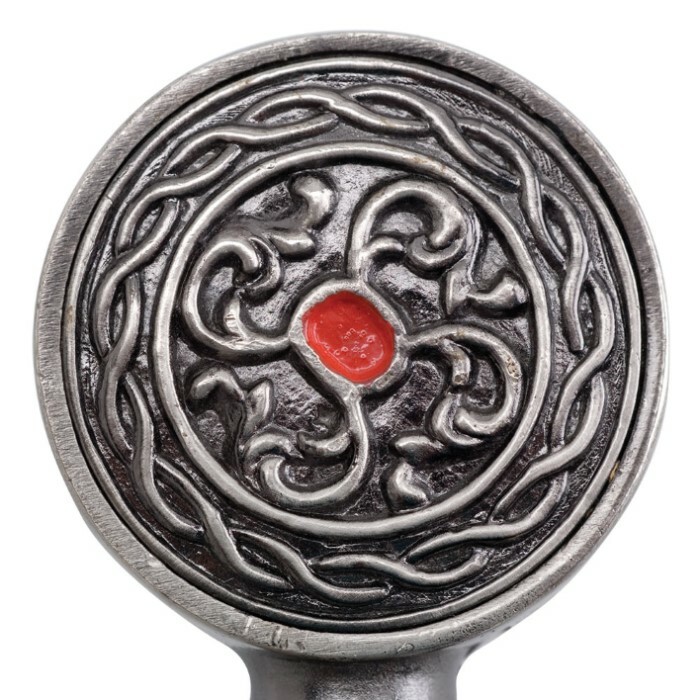 I absolutely love this sword it makes a wonderful sword piece. I was a bit skeptical at first since its a show sword and I like real, able to use swords. It looks great on the wall its just beautiful and a wonderful decoration. Honestly, for the price it's a really good sword. It won't be holding up to any fighting, but I took care of that by taking off the handle and just wrapping the bottom of the blade. Once you do that, it's fun and easy to use in sparring with anyone. If you don't want to do that, leave the handle on and it looks really good. The scabbard is a better quality than expected. It holds up to a lot and looks nice. All-in-all, it's a really good buy if you're not looking for anything too fancy. Longer than most $20 swords but a LOT cheaper.To start off I'll complain about the cheap plastic handle, and the dull blade that nicks, and is NOT stainless mine got rust spots after one year. I agree with the other reviewer about one thing, the sheath is very nice, and unique. 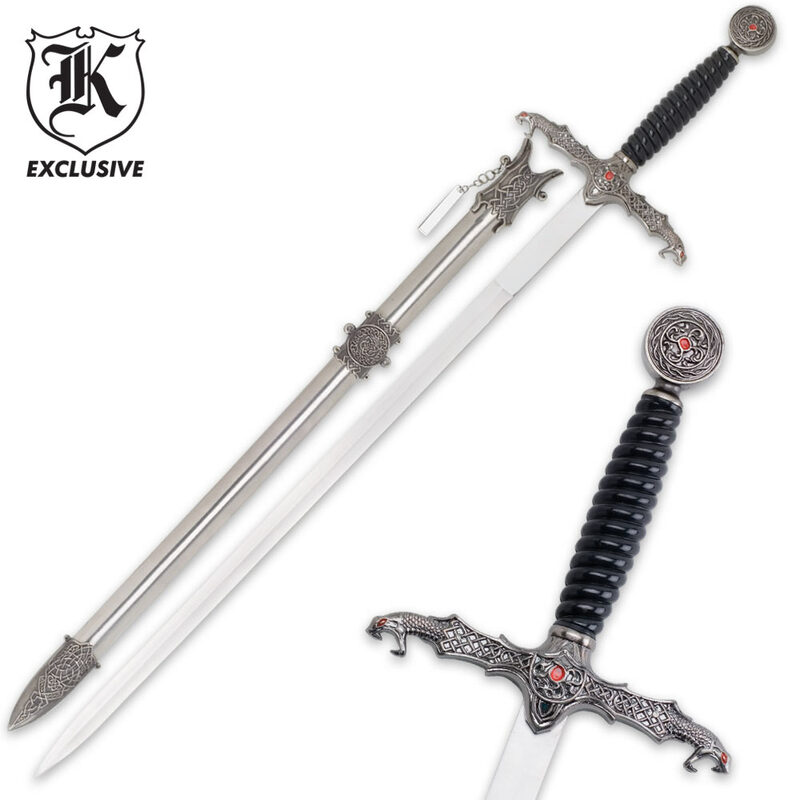 I suggest you check out the "Robin Hood short sword".You can read my review about it there.